The double plates storage is ideal for storing your Olympic Plates and optimizing your storage space. Compatible with all of our Racks, Rigs and Wallmounts. Made in France of reinforced steel. The Tactical Steel Double Plates storage is the double version of the Plates storage. This new version allows for even more storage of your Olympic Plates. Ideal for optimizing your training space. 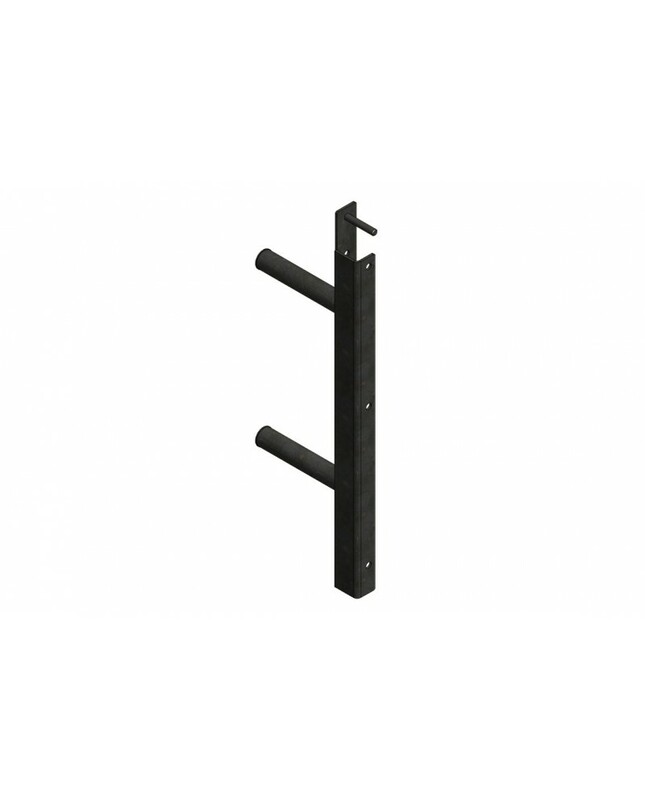 Compatible with all Tactical Steel Racks, Rigs and Wallmounts. It’s quick fixing system allows to easily change it’s positioning on your Rack, Rig or Wallmount. The Double Plates storage is available in 250, 400 and 600 mm.